As discussed earlier, it is essential to expose the cervix properly for satisfactory performance of colposcopy. 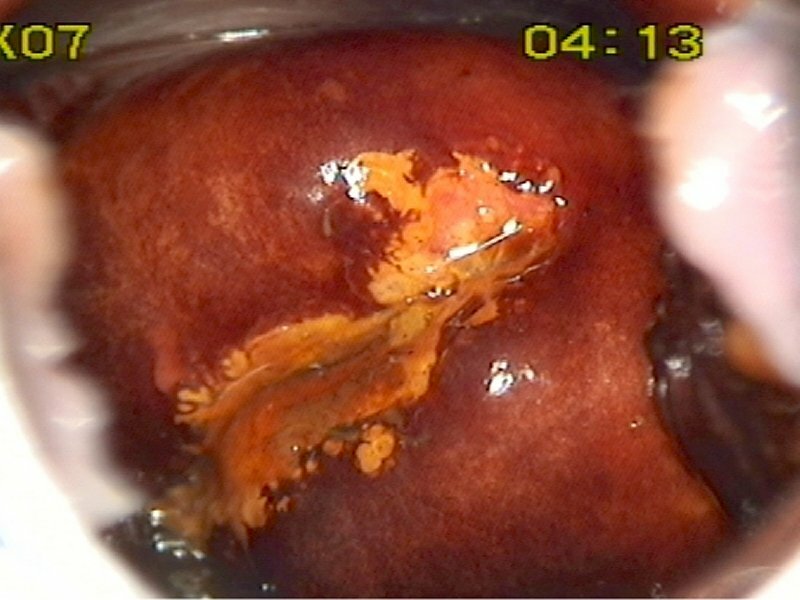 Assessment of the transformation zone is most crucial in colposcopy, and the transformation zone cannot be seen if the cervix is rotated upwards or downwards. The cervix should be exposed adequately either by readjusting the speculum or by pressing the vaginal fornices with the swab (press the lower fornix to rotate the cervix downwards, and vice versa). Sometimes exposure is difficult because of patulous vaginal walls. Use a speculum of a bigger size, or roll a non-lubricated condom or the finger of a glove (with the tip cut off) over the speculum to prevent the patulous vaginal walls from obstructing the view.